Irina Tchachina (also Chashchina or Tchashchina) (Russian: Ирина Чащина) is an Individual rhythmic gymnast born 24 April 1982 in Omsk, Russia. She has been quoted as saying “Besides your body, you should train your mind too. 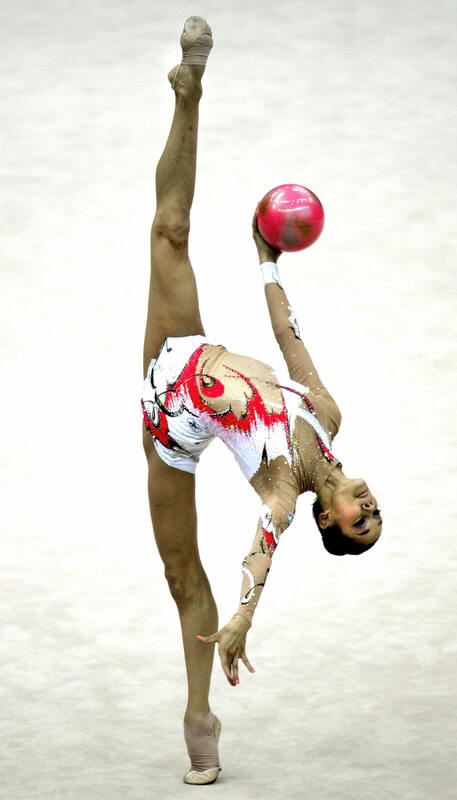 Intelligence is crucial to rhythmic gymnastics." 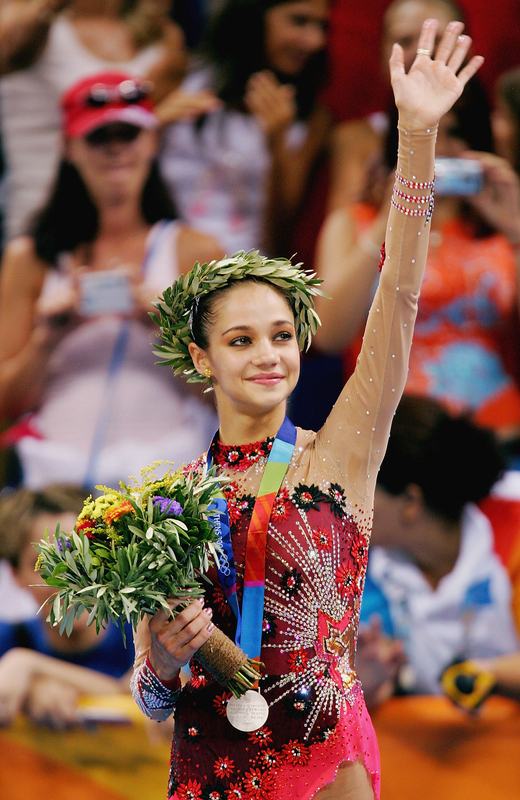 She started her sports career at the age of 6 in her home town, Omsk. The young Irina was taken to a sports school by her grandfather, a devoted amateur sportsman. The day before Irina had watched the World Rhythmic Gymnastics Championships on TV and was duly impressed. Her family had also insisted on taking up swimming. Thus young Irina's days were filled with music lessons, swim training and rhythmic gymnastics. 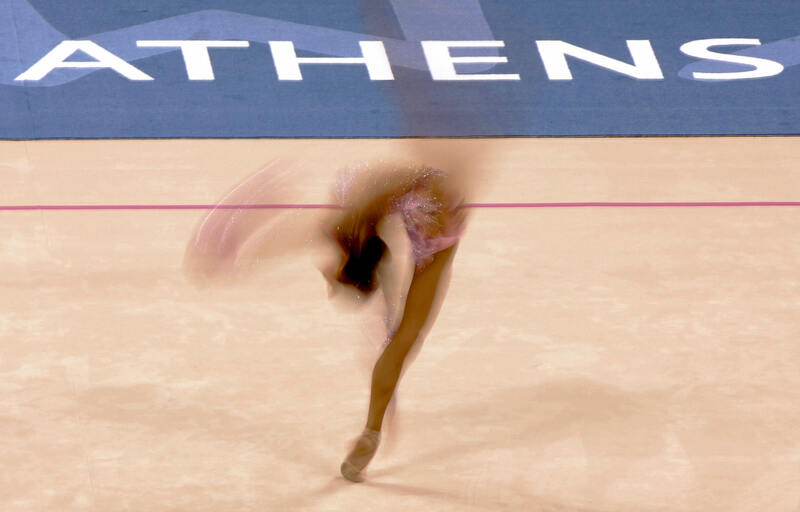 At age 14 she had to make a choice, and she chose gymnastics. Four years later Honoured Russian Federation Coach Vera Shtelbaums started to train her. Irina's first victory was at age 8 at the Omskaya oblast championship; by age 12 she was already on Russia's national team and routinely travelled to Moscow to take part in the training camps. As a junior, she took first place at a very prestigious tournament, the CIS Spatakiada, and won the Russian women's championships twice in a row. In August 1999 Irina began training at the Olympic Preparatory School under the guidance of famed coach Irina Viner, and around the same time she won the World Championships in Osaka, Japan. 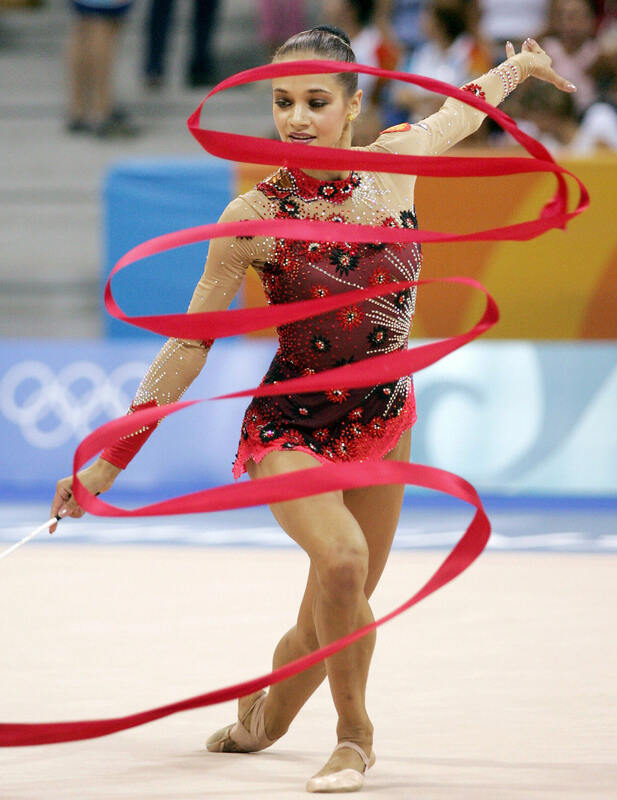 In 2001 she won the gold in the hoop and individual all-around (she also won the silver in the ball, clubs and rope) at the Goodwill Games in Brisbane, Australia, yet Irina and her teammate Alina Kabaeva tested positive to a banned diuretic and were stripped of their medals. 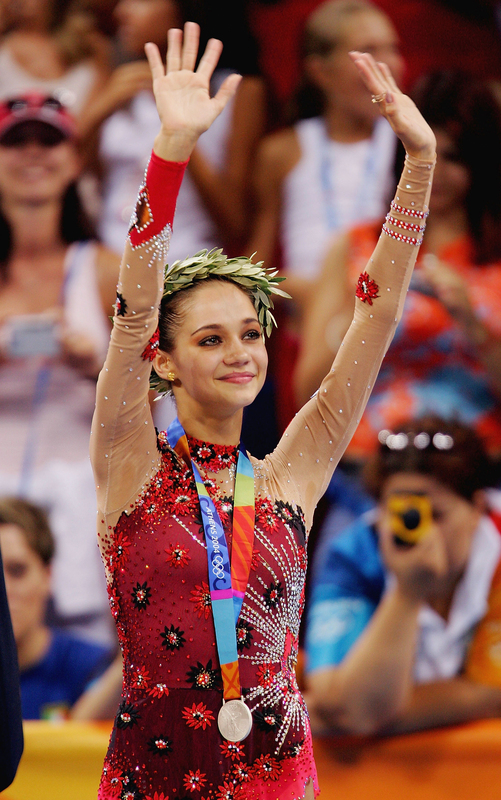 At the Athens Olympics in 2004 she won the Silver medal in the All-Around competition with a score of 107.325 (Hoop 27.100, Ball 27.100, Clubs 26.825, Ribbon 26.300) - her teammate Alina Kabaeva took home the Gold with a score of 108.400. 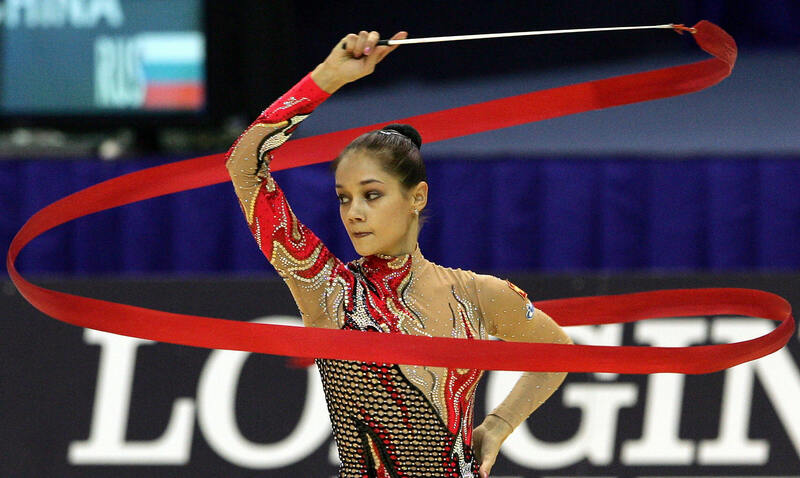 Irina retired from Rhythmic Gymnastics in early 2006.